The insurance adjuster will make an offer on the value of a totaled car. 1. "If an Insurance Company Pays Off Car Due to Accident, Will My Credit Score Decrease or Increase?" The question is interesting, particularly if you've totaled your car: how does your insurance company determine how much they'll pay you for your totaled vehicle? One of the things that makes the question so interesting, unfortunately, is that your insurance company likely won't give you a straightforward answer. Some insurance companies arrive at the amount they'll pay through "proprietary" algorithms they won't share with the insured. To avoid getting a lot less than you'd expected, however, there are effective steps you can take. Most auto insurance companies won't divulge how they come up with a payoff figure when a vehicle is totaled. You can, however, do a little homework yourself and try negotiating with the insurance agent for a fair settlement. To get the best deal, it's important early on to develop an appropriate strategy for communicating with your insurance adjusters. Yes, that's right, adjusters plural. There's your insurance company's adjuster and, when another vehicle is involved, the other driver's insurance company. 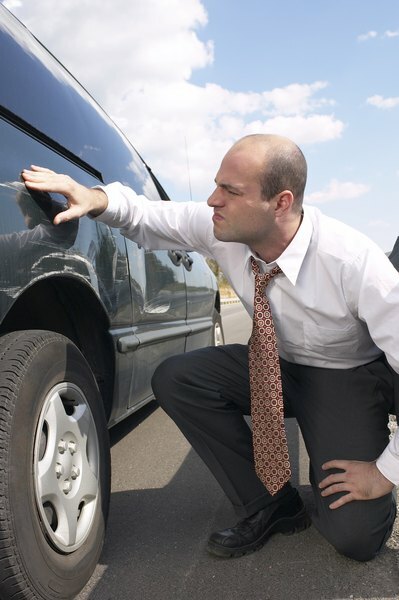 When you're talking with the other driver's adjuster, less is more. Give them your name, address, email and telephone number. One effective tactic to take when they want you to get into what happened is to say, "I've described the details of the accident with my insurance company. They'll provide you with the information you'll need." Expect pushback, but stick to your guns. When you're talking with your adjuster, of course, describe what happened and answer their (usually) reasonable questions. It doesn't hurt to be friendly; in fact, adjusters are human too, and it can help. Just keep in mind that 1) you have a deductible and 2) if you're the responsible party in the accident, you won't be reimbursed for that deductible amount. Early on in the process, begin researching the "average cost" of your vehicle. These days, that's pretty simple. You can go to an auto evaluation and sales site like the Kelley Blue Book site, and by entering your car's year, make, model, included accessories, mileage and general condition you can get the highest sales price for a vehicle just like yours, as well as the lowest price. The average of the two is the minimum amount you should want to settle for. To prove exactly which added value extras your car came with, ask your dealer to run the VIN number – the unique vehicle identification number that's located somewhere on your car's dashboard and on your state registration document. If you've added aftermarket extras, such as sports wheels and high-end sound systems, track down your sales receipt or, at the very least, the bank record that shows how much you paid. Armed with this knowledge, you're ready to talk with your adjuster about the payoff amount. Sometimes (this really does happen) you'll be pleasantly surprised by an offer that's higher than you expected. More often, you'll be a little disappointed. That's when the negotiating begins. Once you've heard what the insurance company is offering it's usually not the best strategy to begin complaining that it's too low. Instead, keeping the conversation as friendly as possible, ask your adjuster to tell you how they've arrived at that offer. Hear them out too, before countering – everyone wants to know they're being heard. Then, with the information you've gathered, you can explain why the true value of the car is higher. When you get your replacement vehicle, you're going have to pay taxes on it, pay to register it and there may be other expenses as well. Be sure to ask the adjuster if they've included them. If not, ask them to do it. Finally, don't be afraid to counter with an initial offer that's higher than what you really expect to get. That's part of the negotiating process. As your adjuster's offer increases, you can concede a somewhat lower price. It's a well-understood negotiating game. The object is to arrive somewhere in the middle – the fair price for your vehicle that you deserve to get. KelleyBlueBook: What's Your Car Worth?